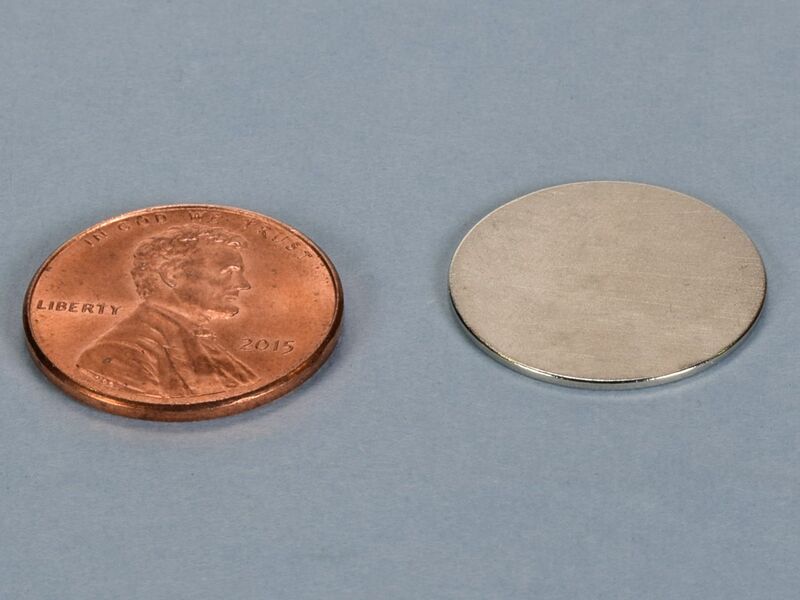 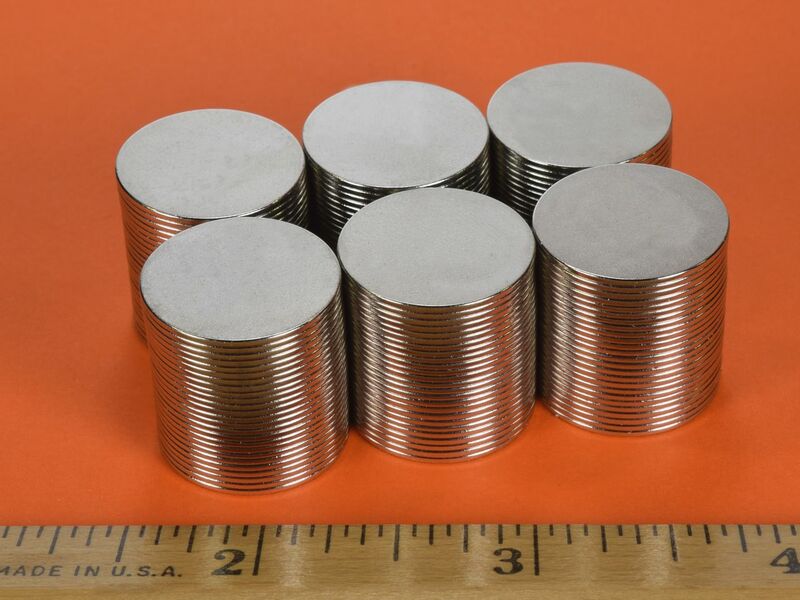 These thin disc magnets are incredibly powerful for their size and surprisingly durable for their thinness. 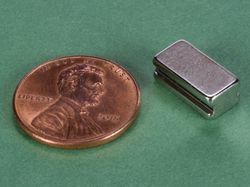 These are useful for a wide range of low-profile magnetic holding applications. 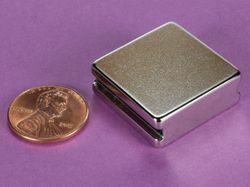 This size is also available in grade N52 as part number DC01-N52.